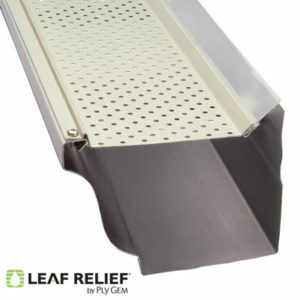 Lakeside Gutter Products is proud to carry Leaf Relief. Leaf Relief brings real relief to homeowners who need a gutter solution that works, first time, every time. Our patented Aluma-Perf Technology keeps debris out of gutters, allowing water to flow freely. Debris is then lifted off of gutters by a normal breeze. 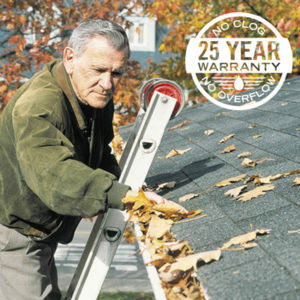 Leaf Relief’s unique design ends routine gutter cleaning, lowering maintenance costs and hassles! No more dangerous trips up the ladder to clean out your gutters! Put an end to your gutter cleaning days with Leaf Relief! Leaf Relief is available in mill-finished 10 ft. pieces.